We are aware that our last post was 3 months ago. Since then we have been busy with life. What matters now is that we are writing again! We were in Sarawak in February and had gone to town to look at how much the city has changed in 4 years. What I can say is, nothing much but food wise there were a few new surprises. 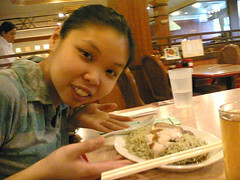 We had our lunch in a Hong Kong like restaurant that specialized in noodles. 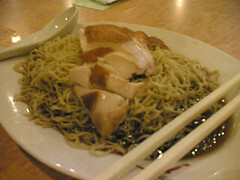 Bee had the Brisket noodles with roasted chicken and I myself had the Spicy noodles with crispy fried chicken. 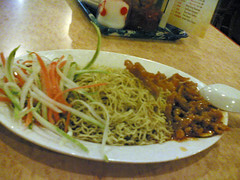 As you can see,we had the same kind of noodles but the only difference between the two were the side dishes and sauce. 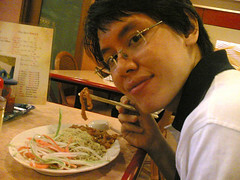 The taste and portions were acceptable as each plate costs RM 5.00 . We crossed the road and entered into the only “Malaysia made” coffee franchise we’ve ever seen. It is called Bing Cafe. 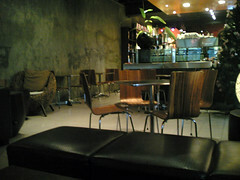 The ambiance and feel of the cafe is really soothing and calm. With soft lighting, comfy sofas, pleasant music and a wonderful looking toilet area, there is nothing much to complain about this place. I dare to say it feels better hanging out here compared to Coffee Bean and Starbucks. The delicious “white caramel” . 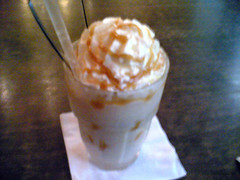 It is a mixture of whip cream, caramel and vanilla. This costs RM 13.00 . The portion is big so don’t worry . There is a Chinese saying that describes some women change their boyfriend like changing clothes. 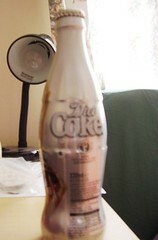 But, I have found a true forever-changing legend that even women cannot compete with- COKE! The everyone-knows carbonated drink shed its skin like no one does. 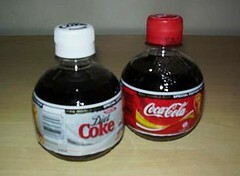 The molt was so frequent that, last week when i visited home bargain, i found two different coke bottle design that i have never saw before. Now this is the proof. During the world cup fever, the coke bottle looks like a football!! For heaven sake, the bottle will be thrown into the bin after finish drinking anyway. 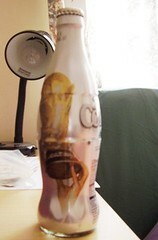 And they even have the silver version of coke, which has a striking golden world cup picture on its label. But when it comes to taste, its quite disappointing. The one I tried before is cherry coke and zero coke. Well, its not like I eager to try anyway, the name already gives me a weird feeling. Coke with cherry???? Well, Coca cola are sure one generous company, the sample which is like a mini size coke can was distributed along the street during their first launch. Well, if you wonder what it taste like, its tasted like cough syrup. 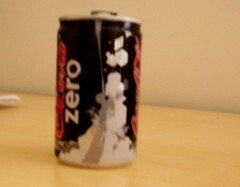 Whilst for zero coke, which claimed to contain zero% of sugar, tasted exactly like carbonated drink, all gas and no taste at all. 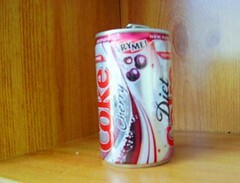 Wasn’t sure how different it is from the diet coke. Coke is definately ‘unique’, taste wise and appearance wise, thats one truth i cant deny. i even heard people talks about bacon tasted coke (YUCKS!!). Well, no wonder their closest rival, pepsi cant even beat coke with David Beckam.